As we come close to celebrating our 70th year in business I thought I would share our company history which spans 3 generations of the Wilson family in Carlton Die Castings and 4 generations in the foundry industry dating back to 1926. Our story starts in 1903. Joseph Wilson set up a steel foundry in the Carntyne area of Glasgow and Carntyne Steel Castings was born. Five years later the factory was moved to Renfrew to be closer to the ship yards on the Clyde. The majority of work at that time came from the ship yards such as Simon Lobnitz who build the dredgers and also North British locomotive company (NB Loco) who made steam engines. In 1951 Carntyne Castings was sold to NB Loco. At that point John Wilson must have wanted to stay in the foundry business as he purchased an aluminium die casting foundry called Alan Carlton and Co Ltd of Stock St Paisley. Alan Carlton and co had been started in 1947 by Alan Carlton who had split from well establish foundry in Hillington called Scottish Precision Castings. The foundry started with 11 people some of who came from Scottish precision castings. Mr Carlton was struggling in business and John Wilson came in in 1950 to assist. Mr Carlton decided to sell the company in 1951 John Wilson. It was at this point that the company’s name was changed to what we know it as today – Carlton Die Castings. The company made only gravity die castings in aluminium, brass and bronze. 5 years later high pressure castings was started in aluminium and zinc. John Wilson died in 1964 and his son Gil Wilson who had started working in Carltons in 1961 took over. 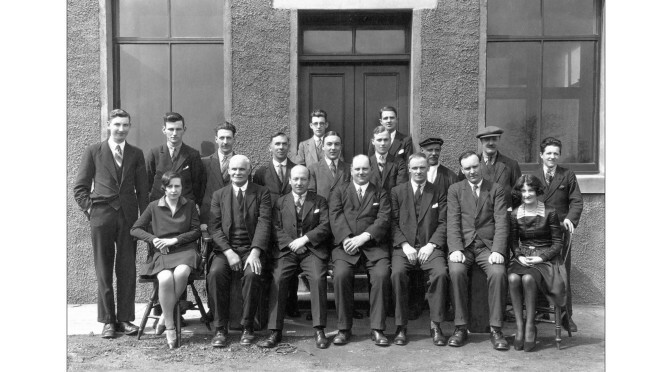 Business developed quickly after 1968 with a major contract form Hoover in Cambuslang. At that point there was a major industrial hub in the central belt of Scotland and more business followed over the coming years with Singer Sewing Machines, Philips Lighting, and Sunbeam Electric. In the early 70’s another major customer was brought in called Holset Engineering who made engine cooling fan drives for cars. In 1975 Carltons was purchased by a company called Michael Denny holdings. Denny wanted to create a Scottish based engineering group and he had already purchased Douglas Plastics two years earlier. One condition of the purchase was all of the employees had to stay. At this time Bendics Westinghouse in Bristol and Automotive Products in Lincon were the main customers and we were the largest die cast foundry north of Manchester employing 144 people. The following years Michael Denny holdings also purchased Tebro Toys and Saluki Fur Fabrics (diversification was the trend of the day). Douglas plastics made Styrograph and Stikle bricks and went on to make 6 million dollar man and other fisher price toys. Denny bought Tebro Toys as they had an extensive plastic moulding facility in Leeds but they also made soft toys. They did character mechanising for Warner Bros and produced Emu, Scooby Doo, Road Runner and other teddy bears. In 1983 Carltons was thriving however the other companies in the group were struggling and Michael Denny Holdings went into receivership. Suliki fur was sold and Tebru toys was sold back to original owners. Douglas plastics was sold back to the management and Carlton was bought back by Gil Wilson. The premises in Stock Street were sold and we moved to our current home in Greenhill Road with 15 employees. We continued to make gravity and high pressure die castings however 1987 brought a change of direction when we won business with JCB in Wrexham. JCB wanted to buy machined castings. Initially the machining was sub contracted to three different machine shops. Within 2 years we took the decision to buy three CNC machines and brought the machining in-house and this was the start of our extensive machining facility. We were then able to expand into different markets which required finished castings fully machined. This brings us up to today. Gil Wilson is still our MD (although slowly winding down!) and myself and my brother, Edgar, are directors of the company. We now have 7 high pressure die casting machines along with our comprehensive gravity foundry and our machine shop has grown to 19 CNC’s. We are working alongside Scottish Enterprise introducing lean manufacturing. Our markets include castings for hazardous areas, lighting, ministry of defence, automotive, electronics and high end hi-fi equipment. Our mission is to provide our customers with fully machined castings, delivered on time to their schedules with zero defects. It has been an interesting, eventful and successful 69 years for Carlton Die Castings and we look forward to the future.